of custom maps and other custom Unreal Tournament files. 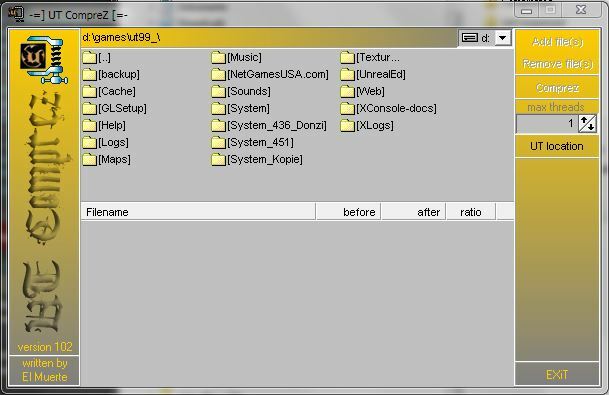 the integrated file brouwser or drag and drop the files. Then click the "Comprez" button to compress the files.